A nicely sherried dram from Bunnahabhain. Originally a travel retail only bottling, a few of these bottles have made it on to ourselves. ‘An Cladach’ is Gaelic for “the shore,” and perhaps represents something of the distillery’s typical coastal Islay style, and the spirit of travel. 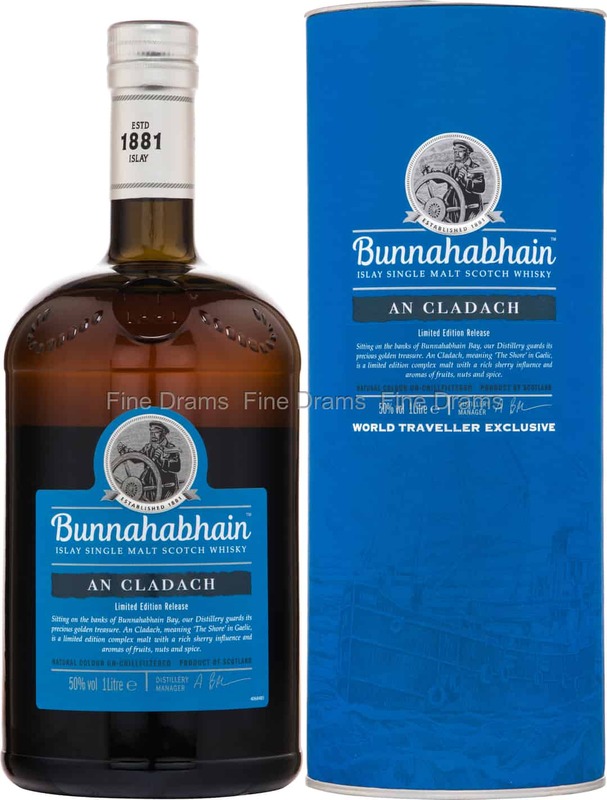 This is a classic Bunna profile, much like the 12 year old standard bottling, with notes of toffee, chocolate, sea spray, dried fruit, sherry, toasted nuts and spice. Bottled at 46.2% ABV and without chill filtration or colouration, this is a whisky that possess a full mouthfeel and full flavour. Great value for money in this 1 litre form.